" Ginny for Merlin&apos;s sake, calm down!" Pansy hissed at Ginny when the red headed girl could barely stay still for one minute. She was so nervous, not even Hermione was so nervous. Draco and Hermione had invited some friends from the Slytherin house too and their families. Pansy was quite shocked though when Hermione had told her she was invited as well.
" Here, Ginny" Luna said and gave her a glass of water. Luna were, thankfully, the calm one. Pansy could be calm too, but with Ginny around it was impossible.
" Hermione will be done any time soon, and the last thing she needs is a nervous Maid of Honor" Pansy said calmly.
" You&apos;re right. Sorry Pansy..." Ginny breathed. It all ended up with Luna giving Ginny some massage and Pansy went to see Hermione.
" You look so beautiful!" Pansy exclaimed when she saw the bride. " Thank you, Pansy! I can&apos;t believe this is actually happening. Me, the muggleborn is getting married to the pureblood Malfoy"
" It&apos;s amazing. " Pansy stated. " I understand why Malfoy wanted you and did all those things for you. You&apos;re just the one for him" She smiled when said all of it and Hermione could tell she was telling the truth. They wedding had been perfect, Draco had been more nervous than anyone actually. Even worse than Ginny, if that was possible. Blaise was the best man so he had felt very honored when he left Draco the ring to put it on Hermione&apos;s finger. 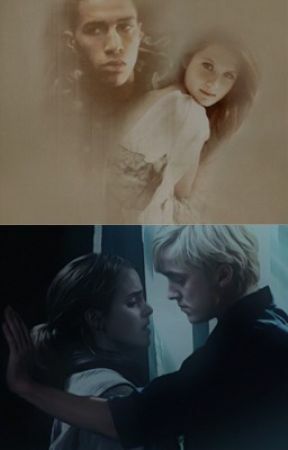 Even though this was Draco and Hermione&apos;s moment, Blaise just couldn&apos;t resist flirting with Ginny while she stood on the other side looking gorgeous. What can we say, it&apos;s Blaise right? Draco and Hermione said theirs &apos; I do&apos; and felt so relived when they did so. 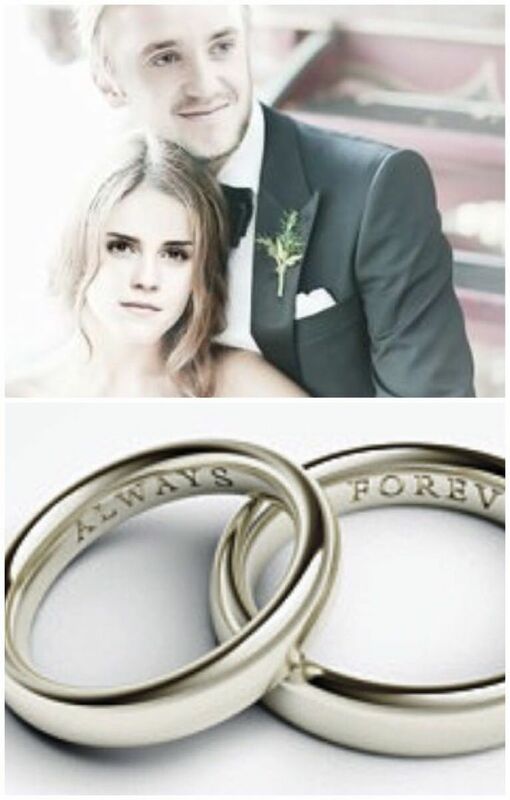 The rings had a text inside where it said &apos; Always&apos; on Draco&apos;s and &apos; Forever&apos; on Hermione&apos;s.
When they went out from the church they had a party at the Malfoy Manor. Because it&apos;s the biggest place they could find and they were very many people. Draco had asked the old house elfs if they could help his parents with serving the food and the drinks. They had gladly accepted.